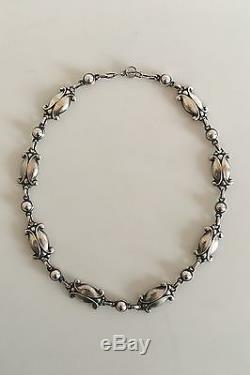 Georg Jensen Sterling Silver Necklace #15 with Silver Stones Measures 42 cm L and 1,4 cm W. (16 17/32" x 0 35/64") Weighs 31 g / 1.11 oz. 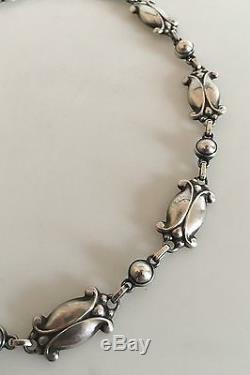 The item "Georg Jensen Sterling Silver Necklace #15 with Silver Stones" is in sale since Tuesday, June 28, 2016. This item is in the category "Jewelry & Watches\Vintage & Antique Jewelry\Vintage Ethnic/Regional/Tribal\Scandinavian". 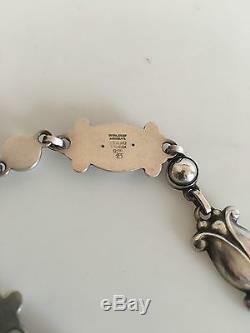 The seller is "danamantik" and is located in Aarhus. This item can be shipped worldwide.